Last Night a few websites started reporting, including the hollywood reporter, have been reporting that Brianna Hildebrand has been cast in the new Deadpool film playing Ellie Phimister. Ellie Phimister chose the mutant name Negasonic Teenage Warhead and takes her powers from psychic abilities through visions in her dreams. This was a very unpredictable announcement, with the Weasel Tj. Miller casting being pretty spot on Deadpool. 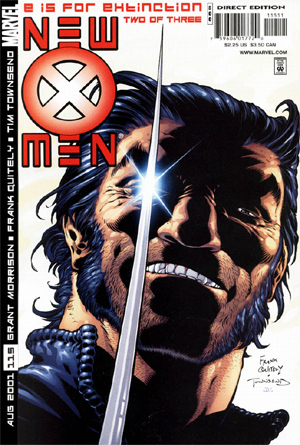 Ellie Phimister’s first appearance is Grant Morrison’s New X-Men #115. This book can commonly be found for under $5 and with the new film, holds a lot of potential based on how this character is used. Shout out to Bryan Springer for first pointing this out before the dog pile started! Better Buy? Cover A or Cover B?